With over 225 million streams, performances at festivals like Coachella and supporting the likes of Sam Smith, Ellie Goulding and most recently Taylor Swift, it is no wonder that Georgia and Caleb Nott are considered New Zealand’s biggest indie-pop exports. We go back to the past for a minute, as the duo talks about the hardships, they faced over the last two years; as they left their old label, to become independent for a while before signing onto New-York based label Neon Gold. The duo seems to have bounced back, and these highs and lows of the past became the premise of their latest singles ‘Peach’, which was accompanied by a visually striking 70’s talk show, and Top of the Pops inspired music video. ‘Peach’ released earlier this year was the first taste of their new sound and aesthetic and Caleb says is just about celebrating the moments when you feel good. Going on to explain what inspired the track, he says, “We wrote the song at a point when we were very much over LA. And then we had a really relaxing week, just chilling and writing music. We’d had a lot of ups and downs mentally and professionally, so that relaxing week was great, and the song is just about that; feeling great.” On the flipside, their most recent offering, ‘Everything Goes (Wow)’ has much deeper meaning, as Georgia explains it is about accepting the mortality of everything and finding peace in it. But the album isn’t all that they’ve got planned. Much before their album drops, they plan on touring more, building a new live show, and, they say, bringing a new version of ourselves to the fans. But what they’ve got coming up in the near future excites them, as they will play at their sold-out headline show at The Dome, London, on November 29th. Keeping in theme with their future, we talk about the prospect of collaborations. 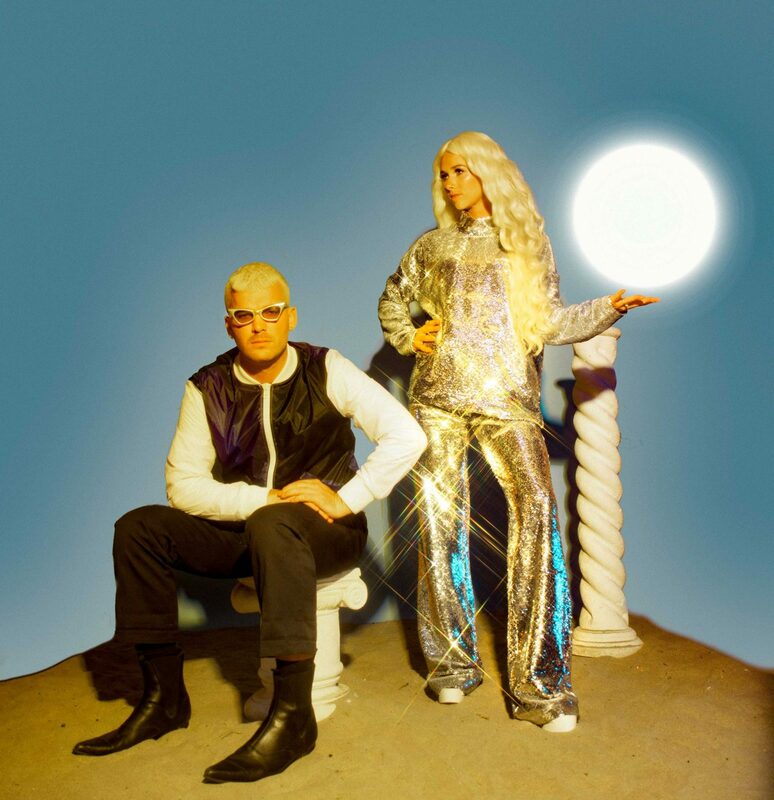 BROODS have a lot of collaborations under their belt previously having worked with Lorde on ‘Heartlines’- and with upcoming collabs with Marina- on ‘‘Emotional Machine’ which they debuted at the Neon Gold 10th Anniversary Party in NYC- and MUNA but asked who’d they love to collaborate with right now, their answer is almost immediate: Robyn. Georgia exclaims that she’s been listening to Robyn’s new album and that she could never get sick of it. So, it’s no surprise when they also name Robyn as one of their influences. But they are eclectic listeners, they explain. Their palette for music is vast, as their influences range from the Gorillaz to Robyn, and it’s with these varied inspirations and influences, they hope to make their album stand out. Aside from all these matters -past, present and future – BROODS, who picked their name as a way to portray their music, which they believe they’ve successfully done, want to use their music to document their own growth as individuals. Having gone through hard times themselves, both professionally and mentally, they want their music to make a difference, to relate to someone going through a tough period. What they want most from their music is share their own feelings and allow someone listening to escape their isolating feelings of hardship. And with previous successes and their sheer passion for what they do, it’s not hard to imagine that their music resonates with people listening.